One of our country’s favorite activities throughout the holidays is checking out local Christmas light displays put together by neighbors, friends, businesses and the like. 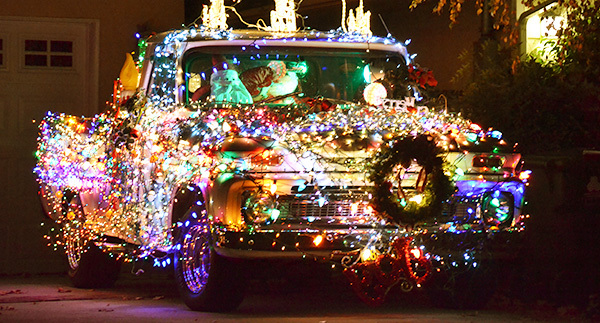 We all know a neighbor or coworker that goes all out with the holiday decor. Some places around the world are even renowned for having local radio stations play music that aligns with flashing lights - making the process of observing that much more exciting! Since you’ve likely made too many lists this holiday season (and hopefully checked them twice) we wanted to offer a little bit of help by compiling this list of Los Angeles’ best Christmas light displays. 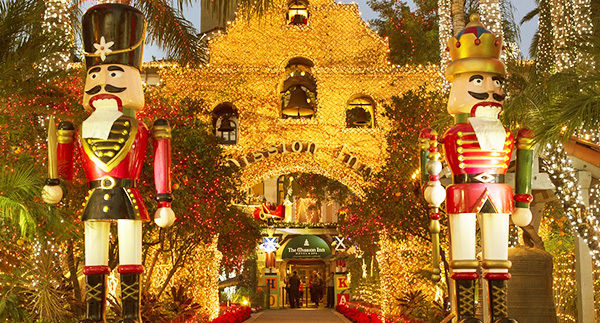 At the Mission Inn Hotel and Spa in Inland Empire, visitors can gaze upon 4.5 million lights, placed to perfection. This free event lasts for six weeks beginning in November with an anticipated end date of January 6. Take part in the fun from the start by visiting their illumination ceremony the day after Thanksgiving (a better way to get in the spirit thank Black Friday shopping!) and you’ll enjoy the scenery that seems to have been crafted by Santa’s elves themselves! 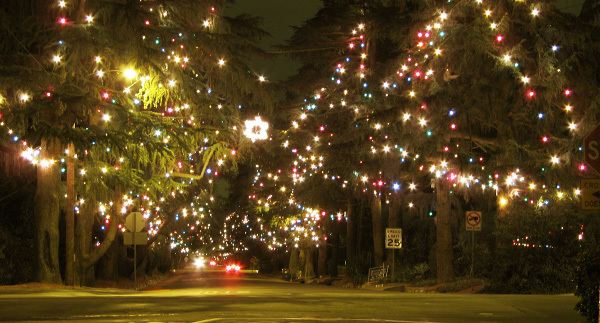 Expect Christmas Tree Lane located on Santa Rosa Avenue to illuminate beginning the second Saturday in December at the end of that afternoon’s festival. A holiday tradition for nearly 100 years, Christmas Tree Lane is free and open to the community. With no sidewalks, visitors are encouraged to keep friends and family in a comfy vehicle and drive up and down the road for the full experience, and to avoid totally distracted driving! To get the full experience this year, visit the Winter Arts & Crafts Festival and then stay for the Christmas Tree Lighting Ceremony. There’s nothing like the spirit of the holidays to bring people together. That’s why homeowners at Los Angeles’ Candy Cane Lane have come together to create an unforgettable holiday lights experience right in the comfort of their own neighborhood, with a perfect name to describe this sweet, nostalgic experience. Every year the lights turn on beginning the second Saturday in December and last through the end of the year, so there’s plenty of time to enjoy the new holiday creations these houses put on display each year. One of the best ways to catch the best light displays for the holidays is to visit one of Los Angeles’ many attractions that aim to add holiday flare each year. 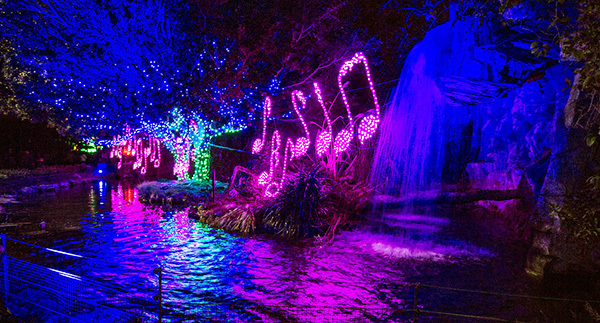 The Los Angeles Zoo is well-known for creating a walk through illumination paradise for their animal residents and those who enjoy coming out to see them. The LA Zoo Lights will be on display until January 6, 2019, but before Christmas, you can grab a photo with Santa and see real reindeer under the lights! 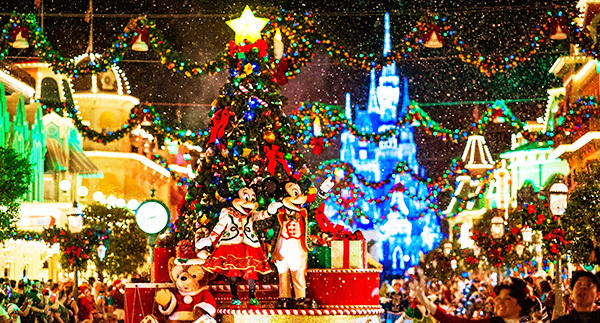 Of course, the place with the most Christmas magic also happens to be the most magical place on earth. Beginning in November of each year, the park transforms itself into a holiday haven, even with some visual alterations to people’s favorite Disney icons such as Sleeping Beauty’s Castle. The lights begin to appear in November leaving plenty of time to take advantage of the scenery before it disappears in January. This year will mark the 56th anniversary of the Marina del Rey Holiday Boat Parade, a celebration that is special to the Los Angeles area and permitted by the wonderfully agreeable winter climate! 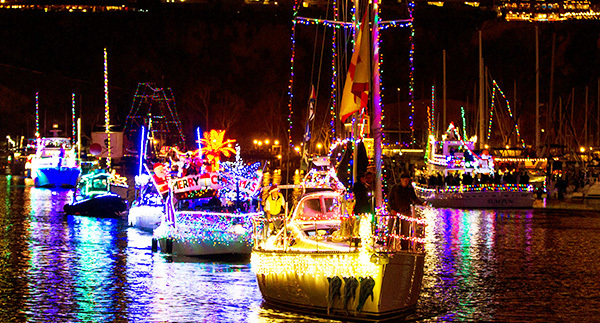 On Dec. 8th, thousands of boats are scheduled to participate, completely and uniquely decorated for the holidays. This event is free and open to the community so you’ll want to show up early to grab a parking spot if you own a vehicle. Regardless of where you choose to see your holiday lights, we guarantee that any of the events and activities listed above will do the trick putting you in the perfect holiday mood complete with magic, love and a cup of hot chocolate! If you’re looking to move to the LA area, get in touch with our expert real estate professionals at LA Property Solutions. Our team represents property buyers and sellers throughout North East LA, including downtown Los Angeles, Los Feliz, Silver Lake, Echo Park, Eagle Rock, Hollywood Hills, Pasadena, Altadena, and the Sunset Strip, as well as the San Fernando and San Gabriel Valleys. For more information contact us at (323) 794-0150.